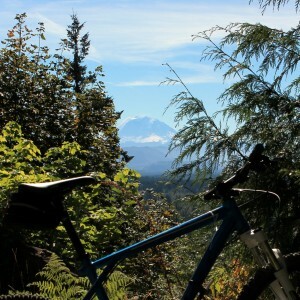 Mountain biking trails in the Pacific Northwest lost a friend and supporter this past weekend when Len Francies died while riding on New Year’s Day with a friend on Grand Ridge, a forest near Issaquah. Twenty minutes. Research shows that’s all it takes to feel rejuvenated by being outside in nature. A mountain biking destination near the crossroads town of Hobart just got bigger with a property acquisition and plans to build more trails. King County says it has acquired a 40-acre “inholding” at Taylor Mountain Forest, located just south of the intersection of Issaquah-Hobart Road and Route 18. Some of the street trials tricks that Danny Macaskill gets away with on his mountain bike are just amazing. All of his videos prove that he’s extremely talented. The stunts in his newest video — Danny Macaskill: The Ridge — are just as mind-blowing. Good news: The long-awaited paving of the deteriorated Middle Fork Snoqualmie River Road into the remote valley east of North Bend will finally get underway in May. 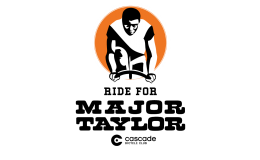 After creating more than 42,000 miles of bicycle routes on paved, gravel and dirt roads, Adventure Cycling Association is taking a foray onto backcountry single track. 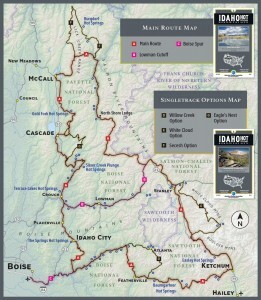 It’s new Idaho Hot Springs Mountain Bike Route is a two-map set of the mountains, lakes and valleys of central Idaho. 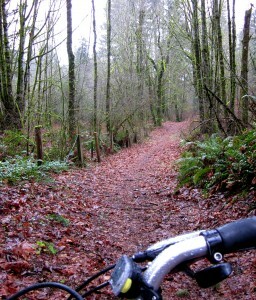 Bicycling enthusiasts will enjoy two-wheeled bliss on knobby and skinny tires this Saturday in Redmond and Issaquah. 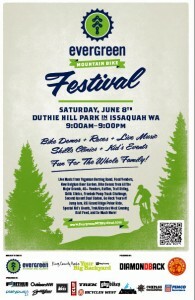 The widely acclaimed Duthie Hill Park in the Issaquah highlands once again will be the site for the annual Evergreen Mountain Bike Festival this coming Saturday from 9 a.m. to 9 p.m.
Precipitation in Seattle is falling about 30% ahead of average for 2012, and much of that has been over the last month or so. While that hasn’t keep me from running errands on my bike, it certainly has kept me from enjoying bike rides as I normally do. So when the sun blasted through some thinning high clouds on Friday, I packed up and headed to a place where I could enjoy the views. 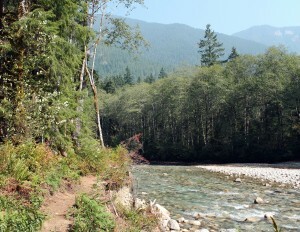 The Mountains to Sound Greenway was happy to announce last week that it received a $150,000 grant from Waste Management to make improvements in the Middle Fork Snoqualmie River Valley. 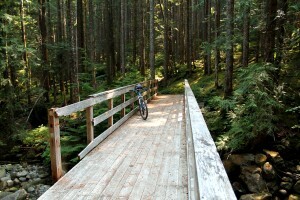 One of the big draws to that area in the rugged mountains north of the Interstate 90 corridor is the Middle Fork Trail, which is used by mountain bikers, hikers and equestrians.